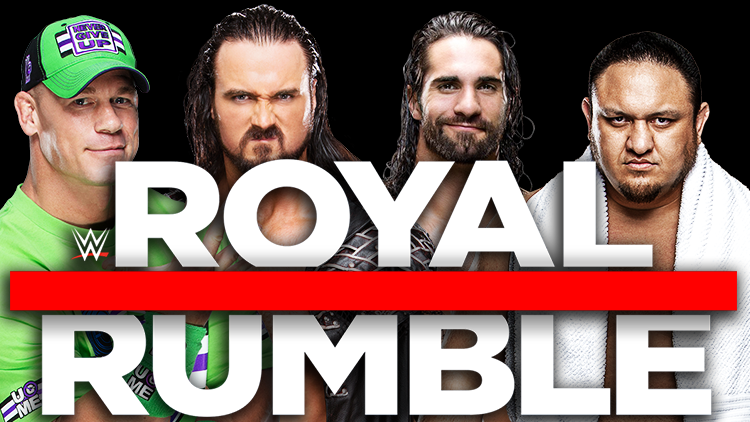 A breakdown of the 2019 WWE Men's Royal Rumble: Who will win? The Royal Rumble is my favorite WWE match of the year. Two years ago, I ranked the ten best Royal Rumble matches ever right here on The Comeback and I’ve also written reviews of all 32 Royal Rumble matches on my website, which includes the men’s and women’s Rumble matches from last year. They also did the Greatest Royal Rumble event last April with 50 male entrants, but that didn’t feel like a traditional 30-person Rumble match. In other words, I like to think of myself as something of a Royal Rumble historian. That’s 18 of the 30 names. The remaining twelve will be a mix of main roster regulars, surprises, NXT wrestlers making their debut and perhaps a guy wrestling in a match at the Royal Rumble will be there like Roman Reigns and Seth Rollins were in the match last year after having title matches. Jinder Mahal – I don’t see WWE giving another massive push to Mahal and that’s a good thing. Baron Corbin – As one of the top heels on Raw, he might have a good showing in the Rumble with a few eliminations. It just doesn’t feel like the right time to push him in a big way. Two years ago maybe. Not now. Mustafa Ali – He’s in a similar boat as Andrade except he’s a face (Andrade is a heel) and he’s newer on Smackdown. Expect him to hit some big moves in the match, but he’s not necessarily a threat to win. Rey Mysterio – Same as Jeff Hardy although I would rank Rey ahead of him just because of how well he’s looking in the ring. At 44 years old, Rey is moving around very well. Aleister Black – If I had to pick one name from NXT to debut in the Rumble it would be him. I don’t see him being Tommaso Ciampa for the NXT Title one night before the Rumble at NXT Takeover Phoenix, so that will mean that Black is a main roster regular. He’ll do well in this match too because I think WWE knows that Smackdown needs popular faces like him. The reason I say Smackdown is because his new wife Zelina Vega is on there. Samoa Joe – In a perfect world, Samoa Joe would have already been in several Royal Rumbles in his career, he likely would have won one by now and been a World Champion several times over. Instead, none of those things have happened yet. I think among the Smackdown roster, he’s one of the biggest favorites. It just seems like a bit of a stretch that he might win. Dean Ambrose – Dean Ambrose has won pretty much everything you can win in WWE expect the Royal Rumble, so he’s a contender for sure. I was surprised that WWE took the Intercontinental Title off him this week, which makes me unsure of where they are going with him. I could see Ambrose lasting until the final four or even the final two, but he’s probably not going to win. Braun Strowman – Is he in the Rumble match? Don’t know, but he should be if he’s medically cleared to wrestle by January 27th. The story about Strowman being removed from the Universal Title match at Royal Rumble is because Vince McMahon changed his mind. Vince realized he didn’t want Brock Lesnar to beat Strowman again, so Finn Balor earned the Universal Title match instead and the expectation is that Lesnar will win that match. I think Strowman should be announced as a Royal Rumble match participant because he’ll have the fans beside him as a threat to win since he won the Greatest Royal Rumble last April in Saudi Arabia. Even if he doesn’t win, his presence will help the match in terms of star power. It wouldn’t surprise me if WWE did McIntyre vs. Strowman at WrestleMania because that’s a big match because two of Raw’s biggest names. The angle could really heat up with some interaction between them in the Rumble match. John Cena – I don’t want 41-year-old part-timer John Cena to win the Royal Rumble, but I think there’s a very easy storyline that could be told for him. Cena wins the Rumble and instead of going after Raw’s Universal Championship for the first time, he goes for the WWE Championship held by the heel champion Daniel Bryan. Cena has faced Bryan a few times before (most famously at SummerSlam 2013 when Bryan won), so there’s a lot of history there. Plus, Cena nearly married Nikki Bella, who is the sister of Bryan’s wife Brie Bella, so they were nearly part of that same reality show family. The other Cena option at WrestleMania is the match with Sullivan, which I mentioned earlier. I’d rather see Cena/Bryan although that depends on who else is planned for Bryan at this point. Seth Rollins – I think Rollins is the best choice and the most obvious choice. That can be bad thing because WWE likes to do unpredictable things. The good news is that last year’s two Rumble winners (Shinsuke Nakamura and Asuka) were the most obvious choices in those matches. They were also arguably the top babyface wrestlers in those matches just like Rollins is. Since WWE got Rollins out of the Intercontinental Title picture, the path is clear for him to go after the Universal Title. The WrestleMania 35 rumor is that Rollins will face Brock Lesnar in a match that will likely be for the Universal Title assuming Lesnar beats Finn Balor at the Rumble. It would be WWE’s way of elevating Rollins to the role of top babyface on the Raw brand by putting the Universal Title on him for the first time. Rollins is arguably the best all-around performer in WWE right now and he’s as popular as he’s ever been, so the time is right to have him win this match. After that, Rollins should beat Lesnar at WrestleMania as well. I think there’s a very good chance that Rollins enters in the first ten spots in the match, lasts over 30 minutes and wins the match. It’s the obvious pick, but it’s also the right pick. Don’t mess it up, WWE.